A swimming pool is the area where the family gets together to have fun time on hot afternoons. It is the area for rest and relaxation and basking in luxury. Designing the swimming pool area meticulously is essential to meet your as well as your family members’ needs. Getting your swimming pool designed by a professional helps you build a scale drawing of your backyard. 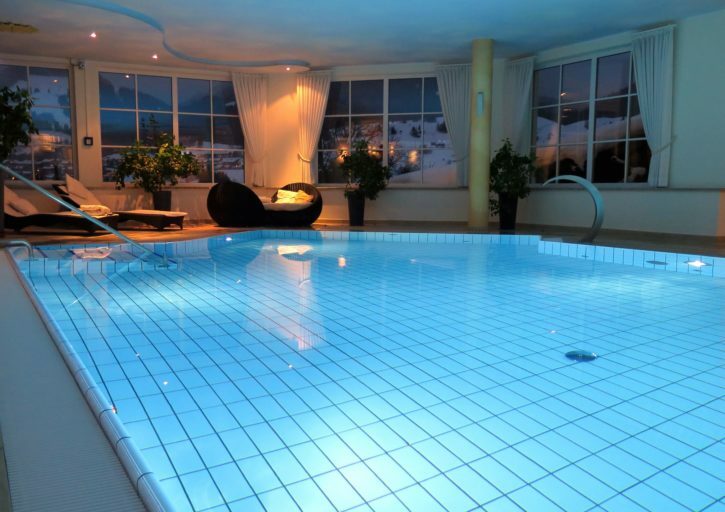 Seeking professional help to create an exceptional swimming pool also ensures that all your needs are met. Companies offering swimming pool design services use computer model programs and other artist renderings to ensure a great outcome. There are somethings which must be considered before you contact a company for renovating or designing your pool area from the scratch. You need to inform your designer the area of the property you wish to devote for your pool. Mark the areas where there are septic tanks, favorite trees, and other obstacles which they need to consider while creating swimming pool design. Walk through your entire house and check out the rooms which give you a view of your pool area. Then go for the two areas which are highly utilized. Ensure that the focal points of your pool area can be seen from these perspectives. When initiating a swimming pool project, create a main point of interest. Include waterfalls, tanning ledges, spas, deck jets, and fire pits in your design. See these features from your point of view. A number of times, people consider building parking lots in backyard space. Make use of planters and negative space to emphasize focal points. Go through magazines to get landscaping ideas for your pool. You can even cut out pictures which impress you. You can collect pics of backyard swimming pool designs which match with your idea of a dream pool and present these to your pool designer so that he will get exact idea about your expectations. Utilize complimentary colors which have a subtle contrast. With deep contrast you can make a dramatic statement; however, with this option the results are not as expected and can end up in failure. Build the pool of your choice. Determine what drives your need for a swimming pool and build accordingly. In a nutshell, designing a swimming pool is not a piece of cake. Creating an ideal pool needs meticulous planning and designing. It requires a professional to go through the details of your property so that you can get the best view of the pool from all the possible areas of your home and also consider the obstacles that might obstruct the design.